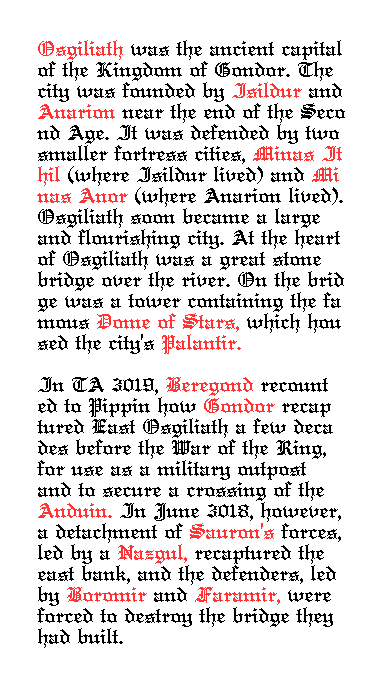 Gothic pixel font inspired by Old English and RM Albion. Info: Created on 13th March 2011 . Last edited on 13th February 2012. Well, the minuscules are ready. I'm working on the capitals. For best result use the PXL view. Comments, suggestions are welcome. a very joyous occasion. elegant and efficient. remarkable in the amount of details achieved for a pixel font. good to see you back in fine form. Very nice...I'm looking forward to the rest. Good to see you again...it's been awhile. Gorgeous! Very simplistic and yet beautiful. Both the 'h' and 'a' are fantastic! Very nice work. Master even at pixel size! Chapeau! Üdvözlet minden csodálattal adózom! (Greetings with all my admiration!, Is it well written in Hungarian? I'm using Google). outstanding font. incredible how you were able to synthesize and digitize your influences to create this gem. i love using the slider and watching the glyphs pop while viewing the sample text. is this the same Pippin that inspired the Broadway show? nice job. This is a truly beautiful bitmap font. Terrific work, Frodo7! Ahh! The caps are gorgeous! Very traditional and beautiful. Congratulations! FontStruct Staff have deemed your FontStruction worthy of special mention. “Osgiliath” is now a Top Pick. Thank you for your comments and generous ratings. I am happy to publish something new on FS after a long pause. There are some glyphs I am still not happy with, there are some kerning problems too. This version is optimized for the sample text. I continue to add special characters, and maybe some diacritical marks to make the set as complete as possible. @meek: Thank you very much for the special mention. The Pixel Preview feature in Fontstructor was of great help to give me instant feedback as I fine-tuned the letters. @funk_king: Thank you for your kind words. I was surprised too, when I saw the amount of detail pixels can reproduce. Like many FS project, this one started with research, collecting samples of similar or relevant works. The next stage was the synthesis, as you pointed out, to create something different, and perhaps something better. Sorry I didn't see the Broadway musical. @aphoria: Thank you. I hope you like the caps too. @elmoyenique: Thank you for your comment. Google Translate didn't really excel this time. Hungarian is particularly elusive to machine translation as it uses far too many affixes to modify the meaning of the basic word. I appreciate your kindness, and only hope to have better luck with Spanish translation. @Goatmeal: Praise from the bitmap font expert. Thank you. @Xenophilius: Thank you. I am glad you like the capitals. You are no slouch when it comes to pixel fonts. Do you plan to add caps to serutagil? @Frodo: I might add caps... but 1) I am too freaking lazy and 2) I am using some of the caps for ligatures. That's basically a way to get lazy and shove some ligatures in the way of your capitals so you don't have to make any real caps. Anyway, I cannot stop expressing my absolute love for this, the crowning jewel of all pixel fonts. You are a font GOD. I'm just going through your gallery and everything's just...amazing. Isn't it amazing what can be artistically drawn out in the virtual world? 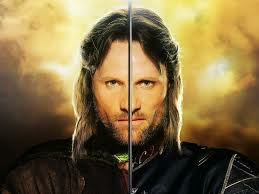 Amazing word, Frodo7! Lord of the Rings fan, Eh?